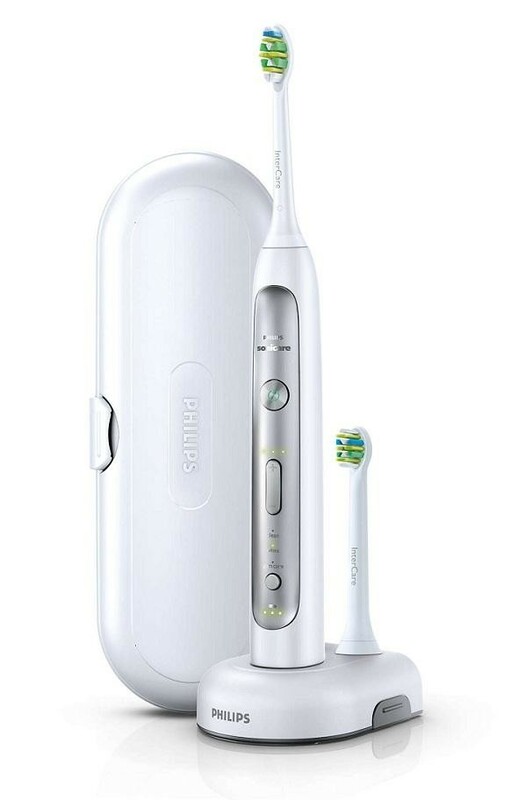 The Philips Sonicare HX9112/02 FlexCare Platinum Rechargeable Toothbrush is the ideal oral hygiene device that ensures your mouth receives a full and thorough clean. The sonic technology drives fluid between the teeth to gently and effectively remove plaque interdentally and along the gumline. There are 3 different modes and 3 different intensity settings for you to choose from depending on what kind of clean you want, choose between clean, white or gum care modes and then select either low, medium or high intensity. The rechargeable battery will last up to 3 weeks before needing a recharge and there is a timer setting to ensure a complete clean, choose between either Quadpacer or Smartimer, the Quadpacer uses interval timing and indicates when to move to another quadrent of your mouth while the Smartimer gives you a 2 minute timer to brush your whole mouth.